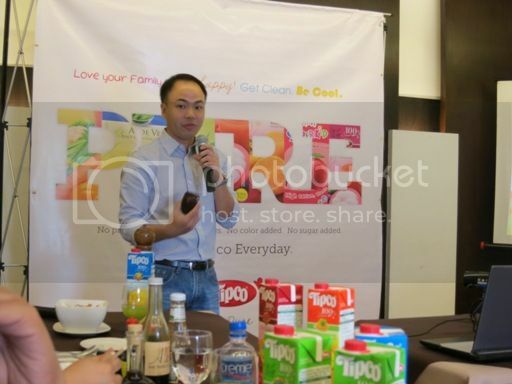 I was one of the lucky bloggers who got to taste the many different flavors of Tipco at an event held at Alex III Restaurant at Greenhills, San Juan last July 17, 2012. I was able to try several Tipco flavors, which included broccoli, aloe vera, mixed veggie and cranberry, among others, and honestly, I liked all of them. Initially, I was hesitant to try the broccoli flavor because I knew how broccoli tastes like, and I like broccoli in my vegetable dish but not in my juice. I had a change of heart and mind, however, when I finally got to sample it. It was sweet, light and refreshing! Tipco is Thailand’s best-selling juice brand exclusively distributed in the Philippines by Transaxion Unlimited Corporation. Tipco 100% pure juice has no sugar added, no flavor added, no color added and has no preservatives. 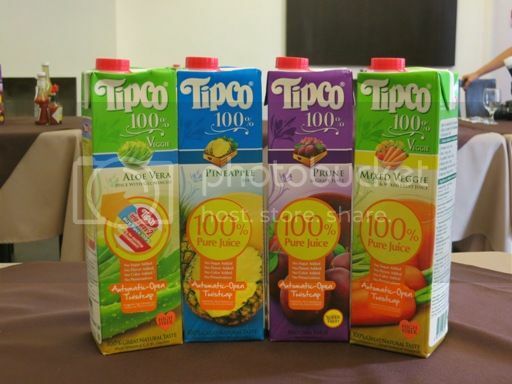 For moms like me whose children are picky eaters, you’ll be glad to know that Tipco has also recently launched the Tipco Superkid 100% Juice; it’s a delicious and refreshing health drink for children. It comes in a variety of flavors, namely: Mixed Veggie & Mixed Fruit, Apple, Shogun Orange and Red Grape. My 6-year-old son doesn’t like vegetables that much, but we manage to sneak tiny bits of veggies into his meals every day, and he doesn’t seem to notice that. For some reason, he is also not very fond of fruits. He doesn’t like bananas, mangoes or grapes. The only fruits he eats are apples and oranges, but only when he feels like it. But he loves fruit juices, and I wasn’t surprised that he downed four tetra paks of Tipco Superkid 100% in no time. He said they’re yummy! Tipco juice drinkers are in for a big treat! Transaxion Unlimited Corporation has recently launched the “Tipco Tripaway” promo, which will be giving away all-inclusive trips to Cagayan de Oro, Puerto Princesa, Boracay and Bangkok, Thailand. This promo runs from July 1 to September 30, 2012. Joining is easy! 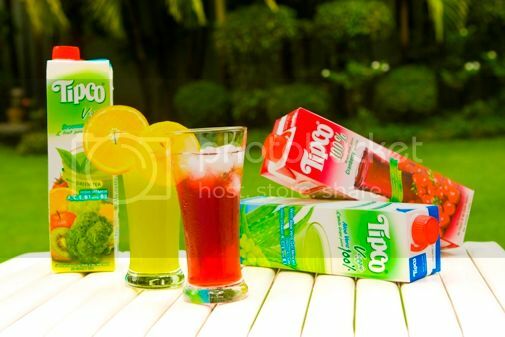 All you need to do is buy Tipco 100% Juice liter packs from any grocery or supermarket nationwide. Customers will get one raffle entry for every single-receipt purchase of three 1-liter packs of Tipco 100% Juice. To submit the entry, customers can visit www.facebook.com/tipcojuicephils and enter the requested information. Deadlines for the submission of entries is on August 5 for the First Monthly Draw (Cagayan de Oro) on August 10, September 5 for the Second Monthly Draw (Puerto Princesa) on September 10, October 5 for both the Third Monthly Draw (Boracay) and Grand Prize Draw (Bangkok) on October 10. So what are you waiting for? Join now for a chance to visit any of these exciting destinations. This entry was posted in Fruit Juice, Tipco, Uncategorized, Vegetable Juice. Bookmark the permalink. Tetcha, hindi na naman tayo nagkita ulit. My daughter loves Tipco and I buy her the broccoli flavor. Yay this is very refreshing specially this time of season. I would love to try this soon.. I was also hesitant to try the Broccoli flavor when I first got one as a gift a few years ago. Now it’s one of my favorites from their long list of juices!